Next month I will be shooting the Donald/McIntosh wedding at Ardoe House Hotel. 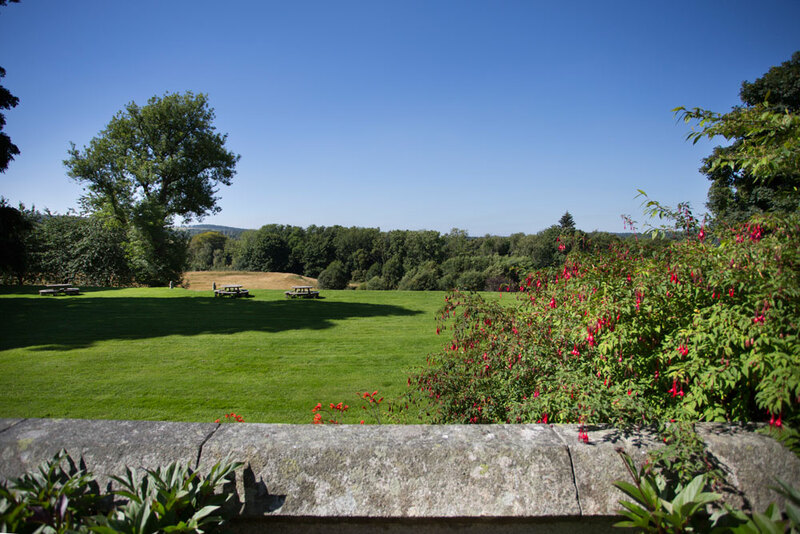 Michelle and Martyn have chosen this fantastic wedding venue, for their special day. As I have never shot at Ardoe House Hotel before, I decided to do some thorough research, to help me get my bearings. Fortunately, the brilliant wedding coordinator Nicki Titley, rolled out the red carpet, and gave me the full tour. 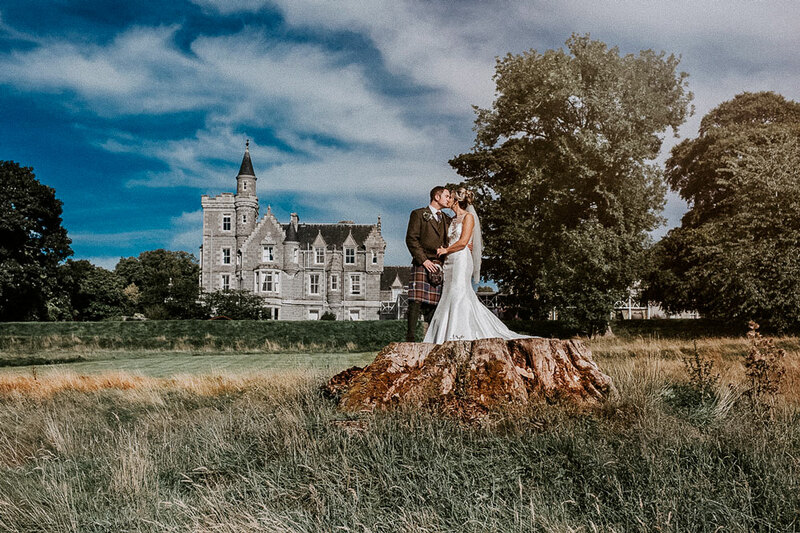 Now that I have seen first hand, what Ardoe House Hotel has to offer; I thought it would be fun to create a list of 10 things I think you will love about this wedding venue. If you are about to start planning a wedding, hopefully this article will prove useful. 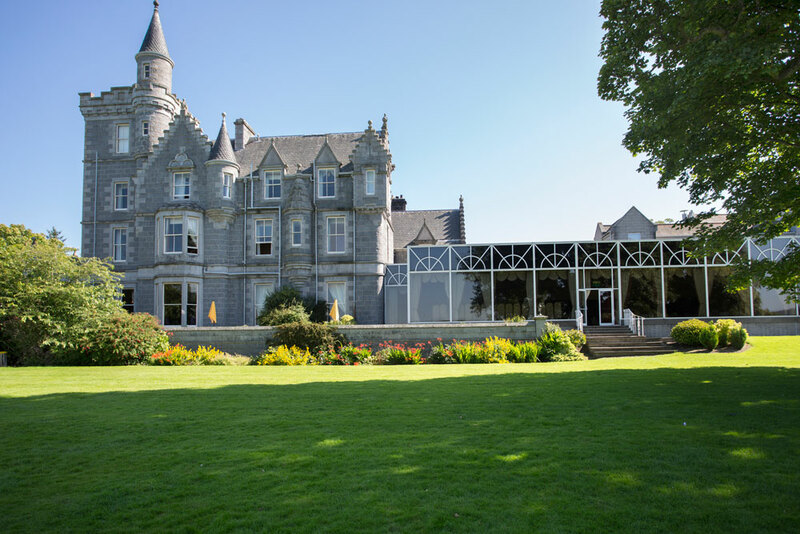 Situated a very convenient three miles outside Aberdeen, Ardoe House Hotel is nestled in 30 acres of beautifully landscaped grounds. The proximity to the city, allows local guests to easily taxi back and forth. There is also parking for 210 cars, should anyone wish to drive themselves. And yet despite being on the outskirts of a major city, you really get a feeling of isolation, like you are on a peaceful country estate. It’s actually a 19th century grand manor house, complete with beautiful turrets and spires. However it reminds me very much of Balmoral Castle in its design; so I’m calling it a castle! The views over the river Dee and beyond are stunning, and the interior design I think is spectacular. It all has a very Scottish look and feel to it, with nice tartan patterns complementing the ancient stained glass windows. You can imagine all your guests wearing their kilts, and the pipes playing in the background. 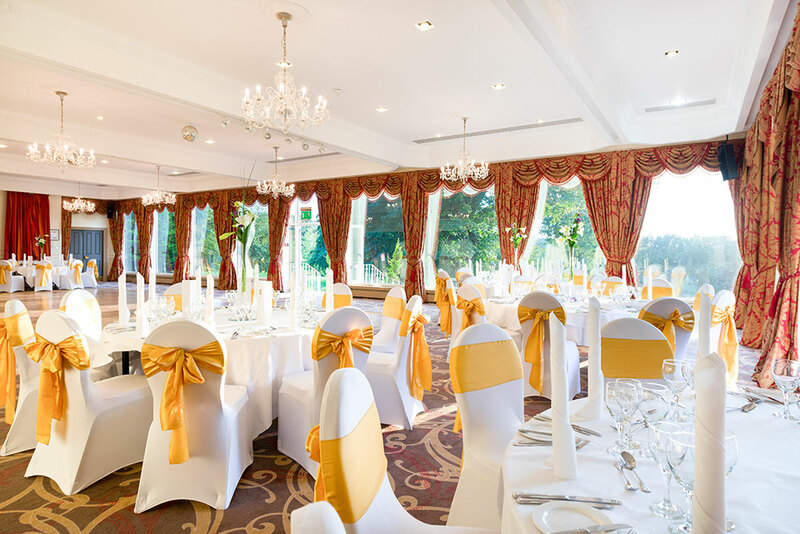 The ballroom at Ardoe House Hotel can seat 450 guests, banquet style for dinner. For most weddings though, that’s probably a bit on the big side. These rooms can accommodate between 50 and 250 guests, depending on your needs. In addition to the flexibility in room sizes, the team at Ardoe will also work hard to create the atmosphere you desire. Small and intimate or massive and spectacular; they have you covered. 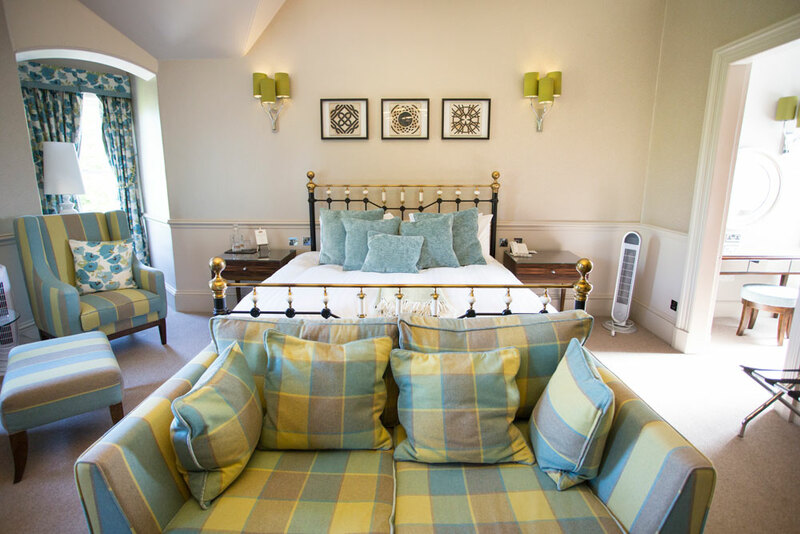 There are no less than 120 traditionally decorated rooms at Ardoe House Hotel. 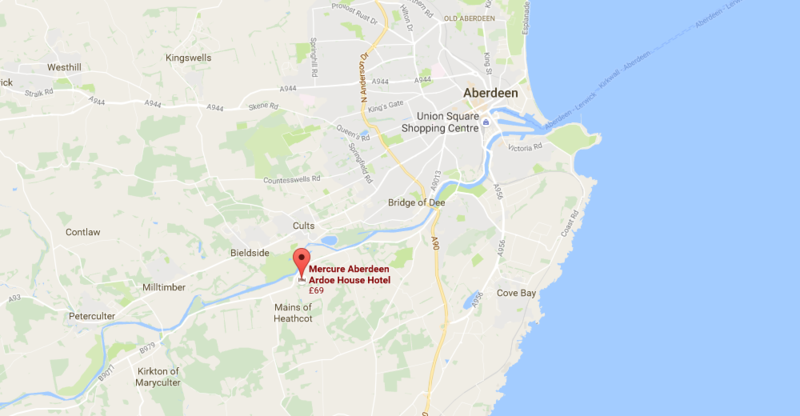 If you have guests coming from outside Aberdeen, then there will be plenty of room to accommodate them. 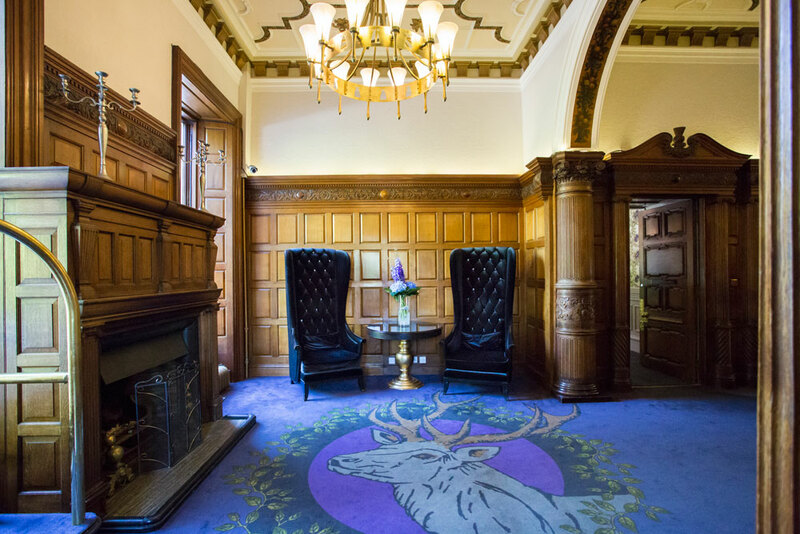 The Classic Double Room’s have newly been refurbished, and if you want to be in the original 19th century mansion house, go for one of the Feature Double Room’s. The bridal suite (pictured above) is beautifully decorated, and actually has a free standing bath for two, right in the bedroom. There is also the possibility of having the entire castle exclusively, providing it is between Sunday and Thursday. Providing you are using the ballroom, you can bring in outside caterers. However, Ardoe House Hotel has a team of award winning chefs at the ready. When I spoke to Nicki Titley, the wedding coordinator, she said the chefs relished the opportunity to create something special and unique. From sophisticated world cuisine to medieval style banqueting, they will bring your vision to life. There is also an option to do menu tasting for four people, to help in the decision making. There are no shortages of places to eat at Ardoe House Hotel. I actually had lunch here not too long ago, and the food was fantastic. Depending on your wedding plans, you may not eat in any of the restaurants; but it’s nice to know that they are there and that they are very good. Blairs restaurant is the flagship, and there’s also Soapie’s Lounge Bar; the original owner made his fortune in the soap business. 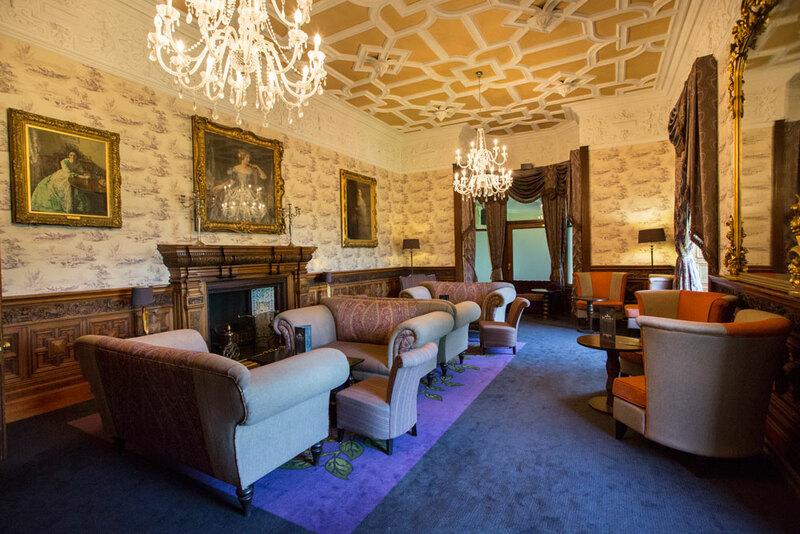 Food is also available in the Drawing Room and the Laird’s Bar. The biggest problem with weddings is, they are over so quickly. Why not extend your celebrations, by starting early at Ardoe House Hotel. It has a fantastic SPA, with an endless array of treatments. How about laser clay pigeon shooting, archery, quad bike riding, or a round of golf at Paul Lawrie Golf Centre, directly across the road. If the weather is behaving, a BBQ can be arranged, and there is also a fitness centre and a heated indoor pool. As with the Ballroom, there are a number of options available for your ceremony, at Ardoe House Hotel. 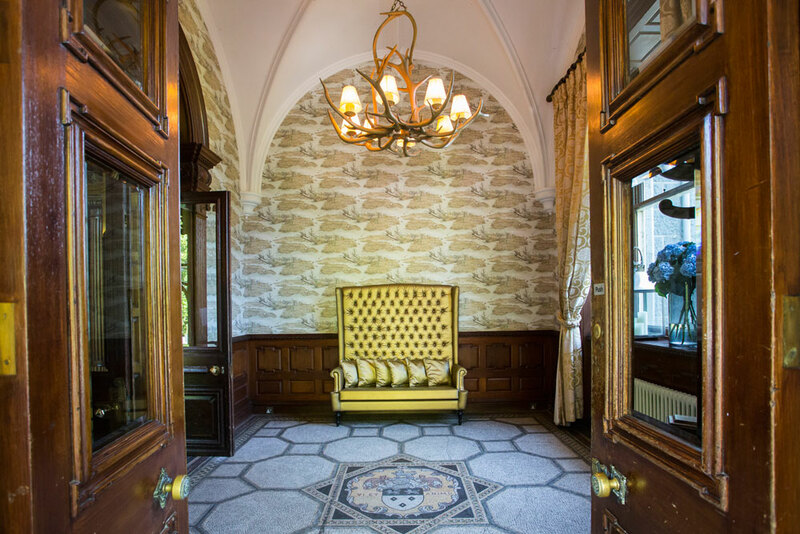 Inside the castle, you have a range of rooms to match every wedding size. From small and intimate, 70 guest ceremonies in the drawing room. To mega 500 guest ceremonies in the ballroom. If you feel like rolling the Scottish weather dice, you could opt to have your ceremony out on the manicured lawns. The views over the river Dee are spectacular. Should you choose to have your reception at Ardoe House Hotel, you will be allocated with your very own dedicated wedding coordinator. I was shown around by Nicki Titley, whilst doing my research, and quite frankly she bent over backwards to help me out. And I’m just the photographer! Nicki will offer you great advice on all things wedding related, including where to find a florist, entertainment, and perhaps a great photographer. Hint hint. 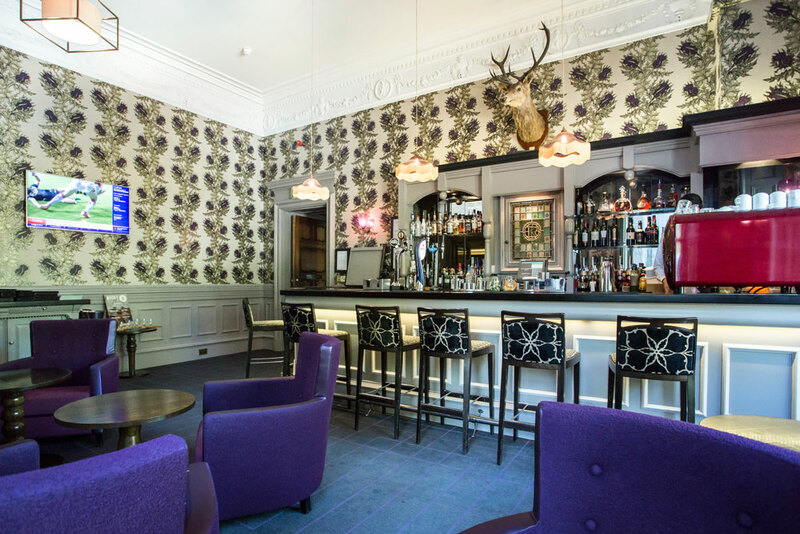 There are no shortages of bars at Ardoe House Hotel, as you might expect in a Scottish establishment. Each of them is beautifully decorated, and in the winter months, you can expect to find a roaring fire. My favourite is the Laird’s Bar, but they are all brilliant places to relax and have a drink. You also have Soapie’s Lounge Bar and the Drawing Room. 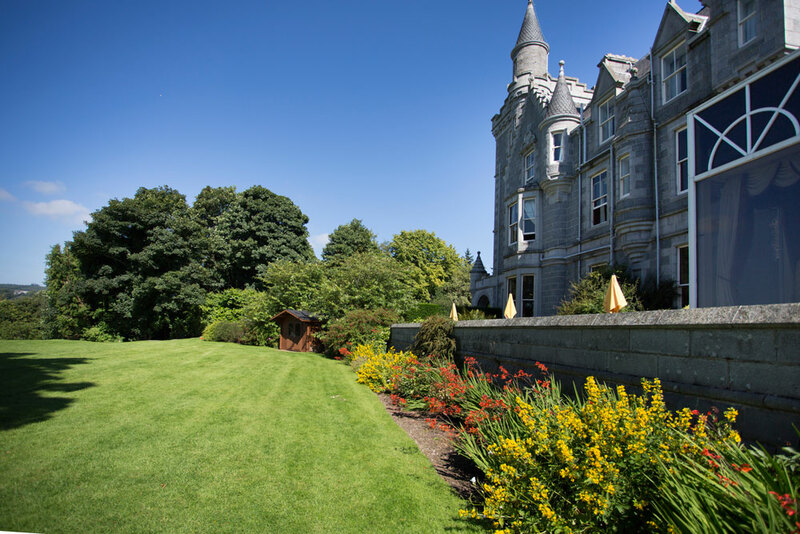 So there we have it, 10 things I think you will love about Ardoe House Hotel. I must admit, I am really excited about shooting the Donald/McIntosh wedding there next month. I hope the weather is as nice, as it was the day I visited! If you are currently looking for a wedding venue in the North East of Scotland, then I know you have plenty of options available. However I feel confident, should you choose Ardoe House Hotel, your day will be a magical one.